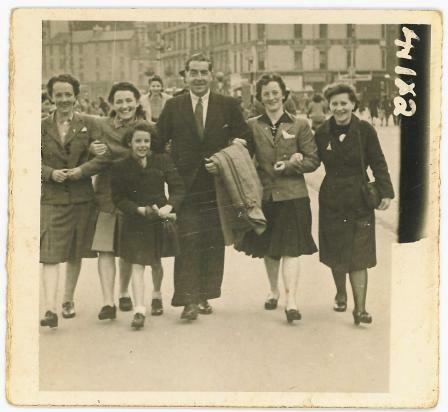 Just a couple of snaps of a stroll in Glasgow around the 1940s. My mother, Rena Smith, with her friends the Duthie family from around Duke Street. Lorne Hotel in the background. Probably snapped by a street photographer. farrochie great pics.Just for your info they are on the Esplanade at Rothesay.It was the Northern Fleet Sub Base hence the sailors in the background. Street photographer gave you a ticket nd you could pic up prints later on at the shop in Dean Hood Place.Ive got quite a few in the attic. 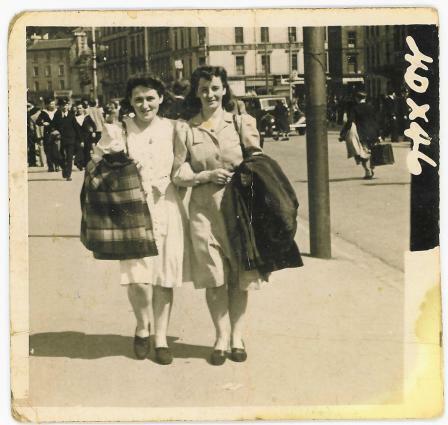 In the distance behind the two ladies is a tenement building with a white horizontal shop sign=Zavaronis chippy.I spent all my summer hols there as a kid. Love the nostalgic Rothesay pics....when I was on my own a couple of years back touring Scotland at my pleasure,I caught the 'Waverley' for a day trip and stayed for a week!.....lovely wee place,enjoyed the bus tour of the island,the friendly Pubs and wonderful memories of going there when I was a wee loddie! A wee loddie.And you knew all the pubs; a smert wee loddie. Great fun filled pic Farrochie. No idea of the date but this old pic of Rothesay shows some of the same buildings. Just looking at those Rothesay photos and thinking back 60 years I can still smell the sand and seaweedy seaside smells - oh Aye and the vinegar on the chips! 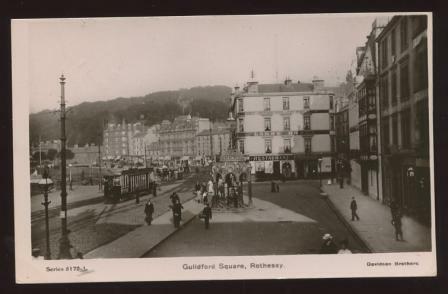 I was trying to remember the name of the square and here it is Guildford Square.The trams used to go round Bute in days of old. I have to say this I was wondering why a street photographer (numbers on the prints?) would have been in Glasgow. Rothesay explains it. 1960 Film. Watch for the 'Bute' photographer. Thanks, Rab. A great peice of archive film.  I've never been to Rothersay. We got day trips to Girvan and Ayr! 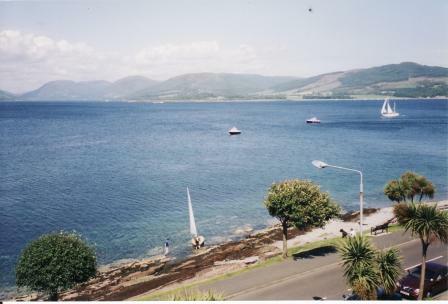 Rab,thanks for highlighting the Bute film.I can still smell the steamer,the sea, the leather seats in the taxi taking us to our holiday house.The round Bute tour,ice cream at the Kingarth Hotel while the adults were in for a "wee refreshment." To this day I still get a big thrill sailing into Rothesay.